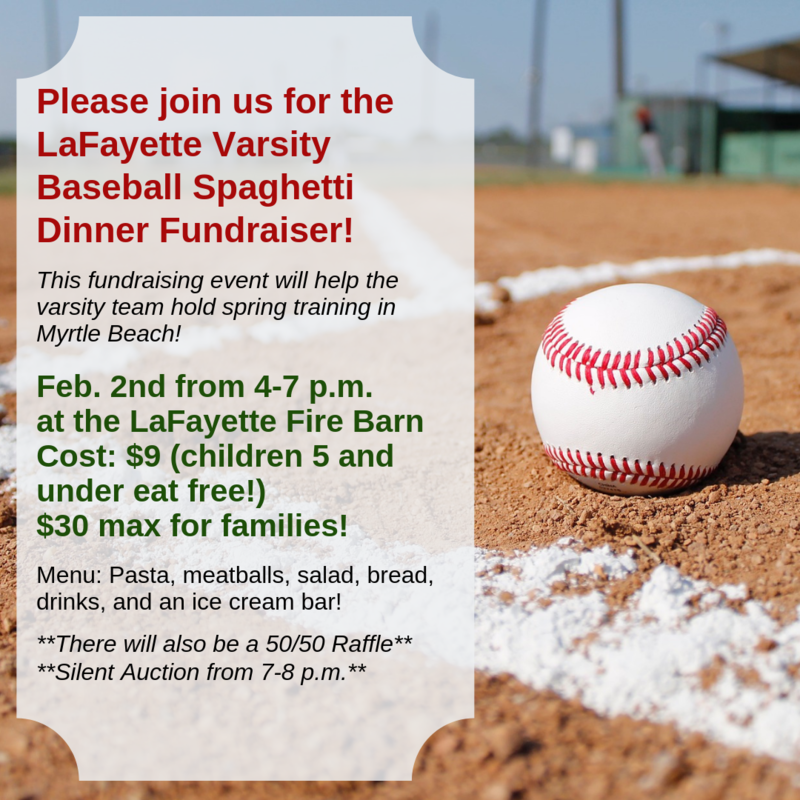 The LaFayette Central School District's varsity baseball team will be holding a fundraising event on Feb. 2, at the LaFayette Fire Barn on Route 11! Proceeds from the event will help the team pay for food and lodging so that it may hold its spring training in sunny Myrtle Beach! They will also help team take part in the Ripken Experience. Please click on the image below to see event information.